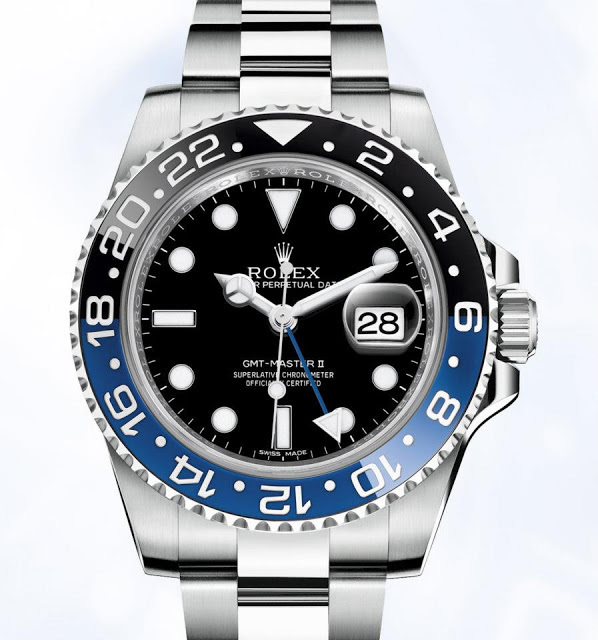 Previously only available in black, the Rolex GMT-Master II is now also offered with a black and blue ceramic bezel. This is more intuitive, since it indicates day and night. 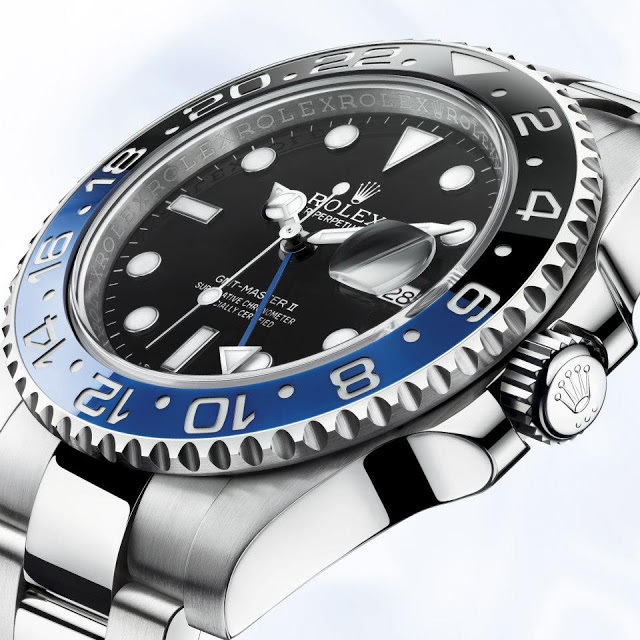 To match the bezel, the GMT hand is in blue, whereas it was green in the previous version. It is otherwise the identical to the earlier all black version with the same 40 mm case and bracelet. This does not replace the current model, rather it is an addition to the line. This is the first time the GMT-Master has a black and blue bezel. 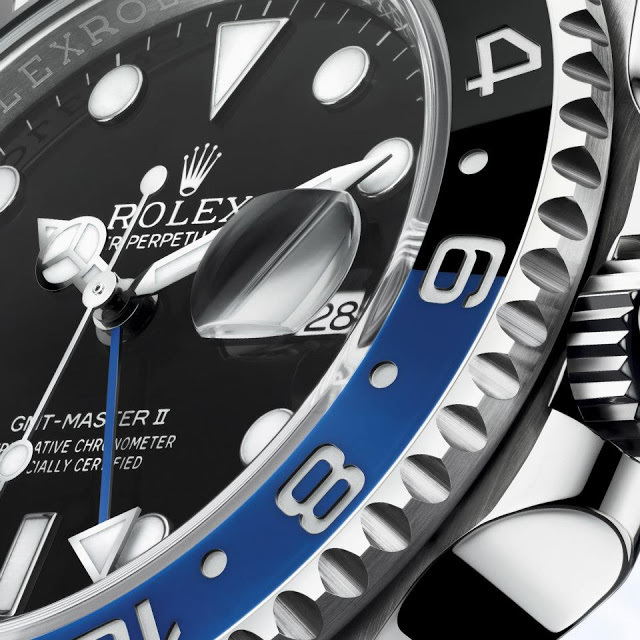 Traditionalists will probably find it a shame Rolex did not bring back the iconic Pepsi or Coke bezels for the GMT. The price is CHF8500 or about USD9000.